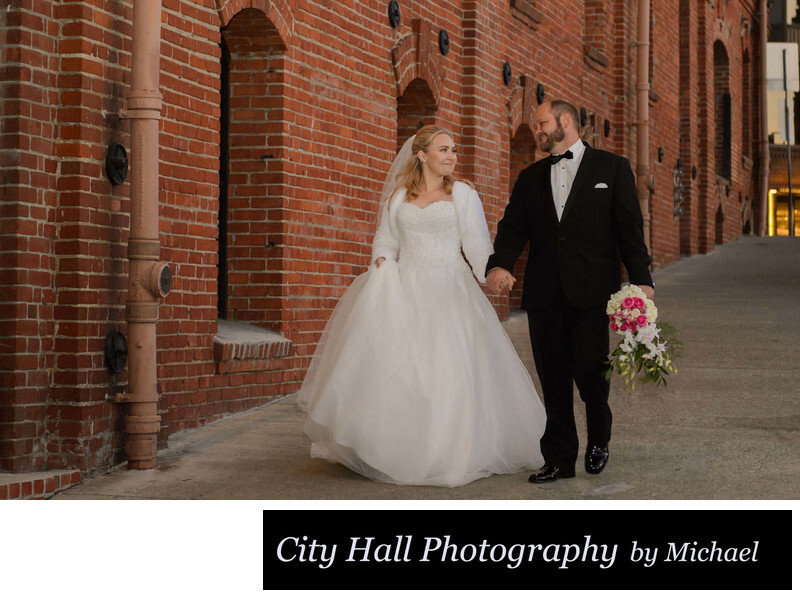 This package provides you with 2.5 hours of San Francisco City Hall wedding photography coverage with time to visit one other SF Landmark! We still spend the same amount of time photographing you in this magnificent building, but then we venture out to one of the many famous locations that the City has to offer. The Golden Gate Bridge, The Palace of Fine Arts and the Legion of Honor are just a few of the landmarks we can take you to. We will even provide comfortable transportation at no extra charge! 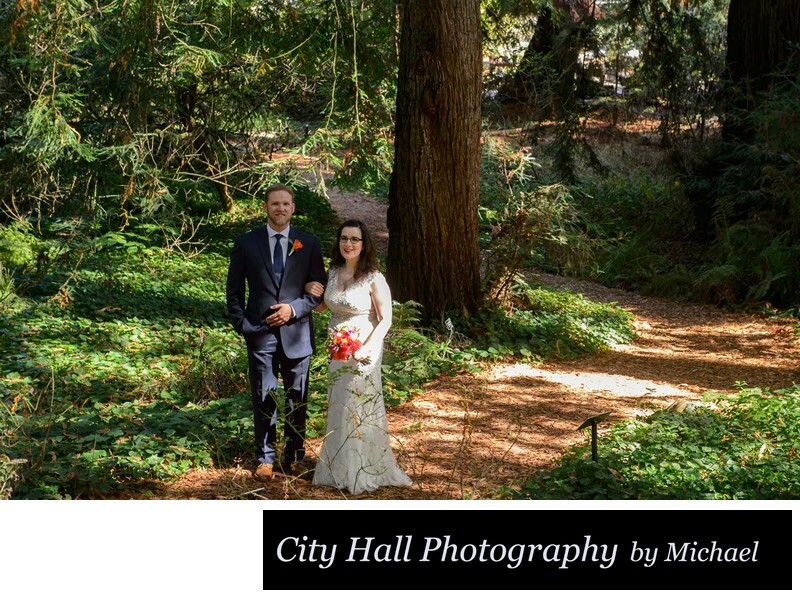 Of course your City Hall ceremony and family photos are included as well. All packages come with the digital images with full reproduction rights plus a convenient viewing site which will allow you to share your images with family members throughout the country or even the world! Definitely our most popular wedding package at a cost of $895. Online viewing site to view your wedding photo, allowing you to conveniently share your memories with family and friends. We are happy to help you choose the extra photography location if you are unfamiliar with San Francisco. Many of our clients prefer to go to less touristy areas like Woodline in the Presidio or the Botanical Gardens in Golden Gate park (see photos below). There are many other beautiful places to visit in this great city. 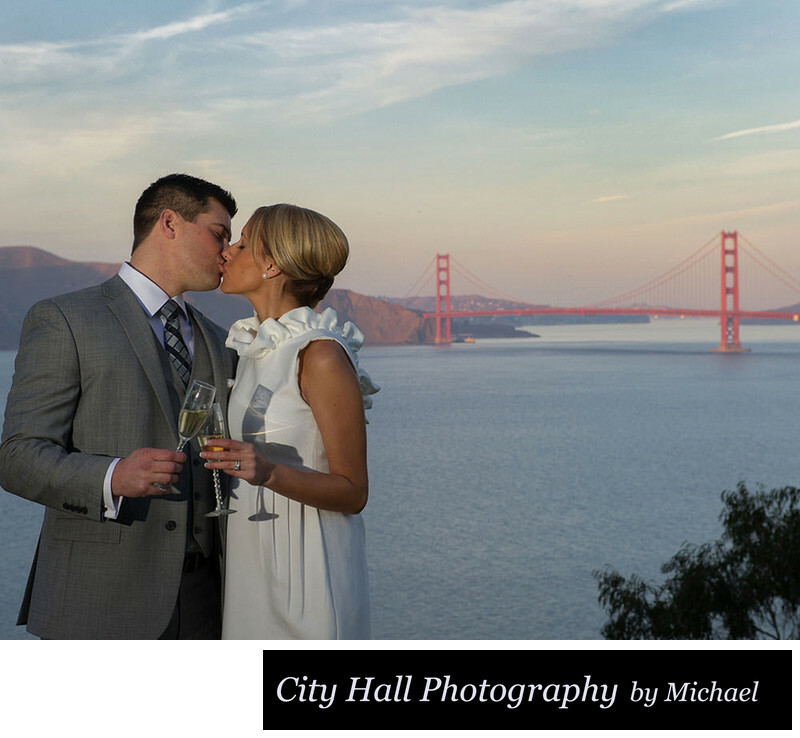 Return to the San Francisco City Hall Home Page or to view more of our affordable packages click the link.